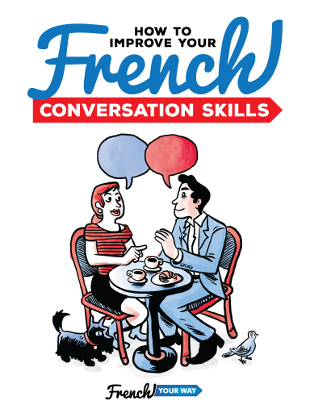 Are you travelling through France by train this summer? Lucky you! Taking the TGV (“Train à Grande Vitesse”, i.e fast train) in France is simple but here are my 10 tips on how to take the train in France to make your trip even easier. In this episode, you’ll find out where to get your ticket, how to ensure you’re not getting onboard the wrong train (especially when it splits on the way), how you can avoid having to run like crazy on the platform with your luggage to find your carriage door before your train leaves and much more! 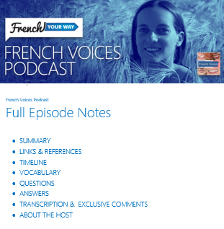 Note: to celebrate summer I’ve prepared for you a series of 3 episodes with my best travel tips for your stay in France! 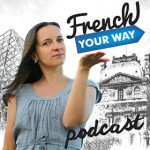 Also listen to episodes 73 and 75 of your favourite podcast, French Your Way Podcast!